Quiet Creek Inn has been a must-stay destination since its creation in the 80’s. Sitting along seven secluded acres of Strawberry Creek, our studios and one-bedroom suite cabins are nestled amongst tall majestic pines, hiking trails and a natural wildlife habitat, with country elegance permeating year-round. 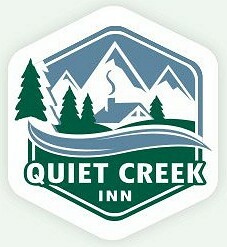 Quiet Creek Inn offers a haven unlike any other “on the hill”!